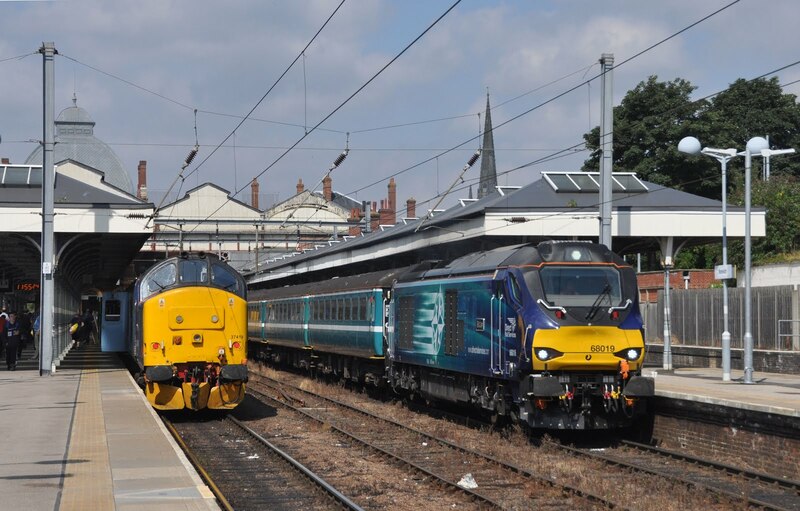 Trains Today: Now there are TWO short sets in Anglia! 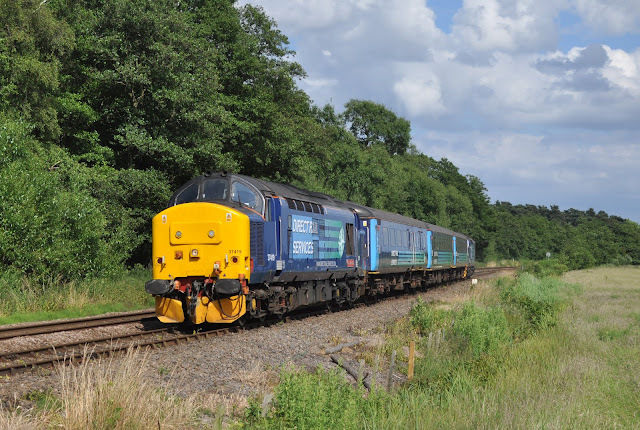 This is certainly not the first time I have written about diesel loco hauled passenger activity in East Anglia (and I hope it won't be the last). 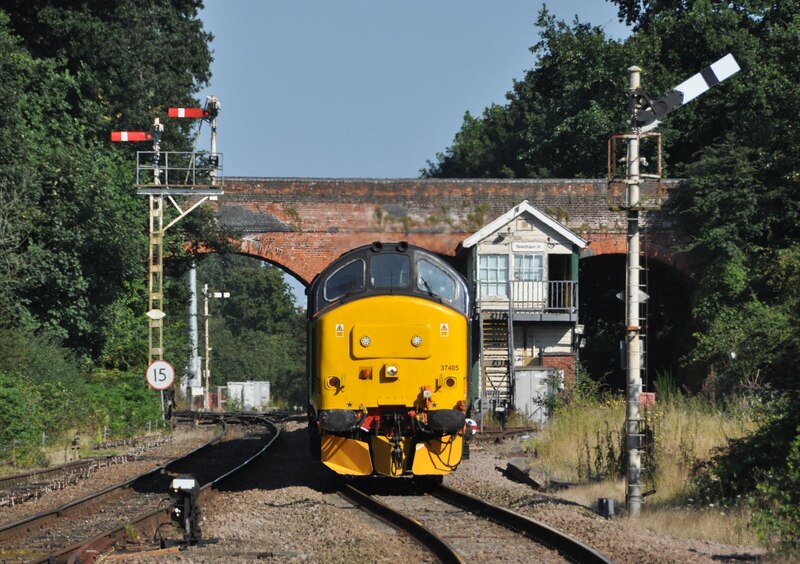 For several years now locomotives and coaches have been hired as a stop-gap measure to cover for a shortage of DMU's in the region. 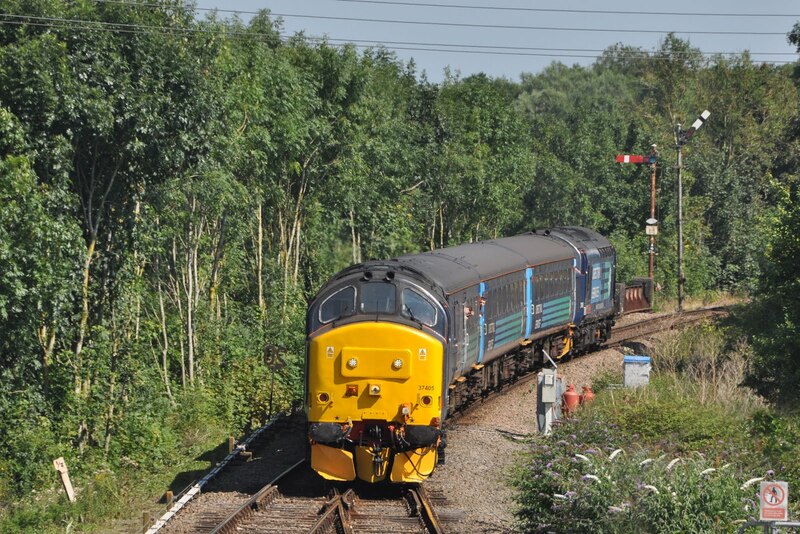 It was a surprise to some when the class 47's which had performed these duties for many years were replaced in June 2015 by class 37's. It was perhaps even more of a surprise when in July 2016 a second loco hauled 'short set', powered by brand new class 68's from DRS was also inaugurated to serve the Wherry lines.The reason for the use of 68's on some local services can be directly attributed to the damage sustained by 170204 which struck a tractor on an occupational crossing in April. The unit has severe cab damage and is expected to be out of traffic for many month for repairs to be completed. This situation exasperated the already fragile availability of DMU's based at Norwich Crown Point. 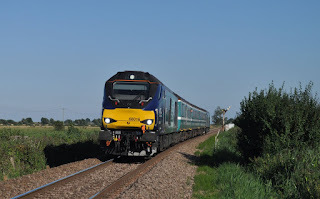 68016 heads across the broads towards Acle from Great Yarmouth. 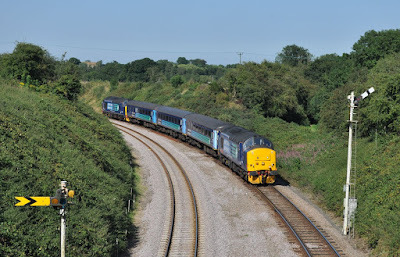 For the enthusiast it makes the Wherry lines from Norwich to Great Yarmouth and Lowestoft a mecca for loco haulage with two class 37's and two class 68's available on trains every weekday. Combine this with the beautiful scenery of the broads and traditional semaphore signalling and it is easy to see the appeal for the photographer also. 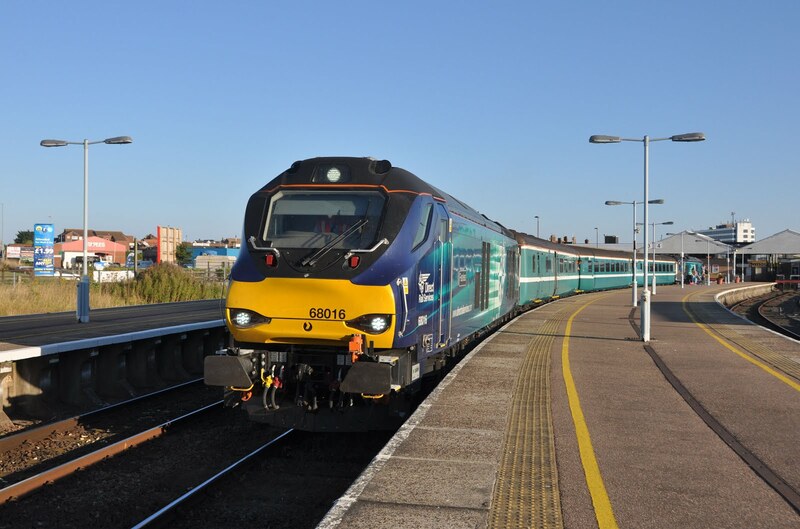 The class 68's are currently scheduled to perform with Abellio Greater Anglia until the end of the current franchise in 2016. It is currently uncertain what plans will be put in place beyond this date to provide continued coverage for 170204. 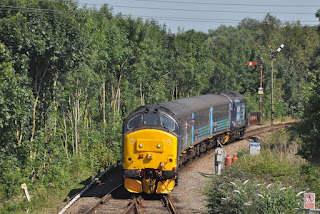 37405 approaches Acle with the 13:17 Great Yarmouth - Norwich. 68016 'Fearless' at Great Yarmouth with the 18:47 to Norwich. 37419 approaches Somerleyton with the 15:48 Lowestoft - Norwich stopping service on 16th June 2016. 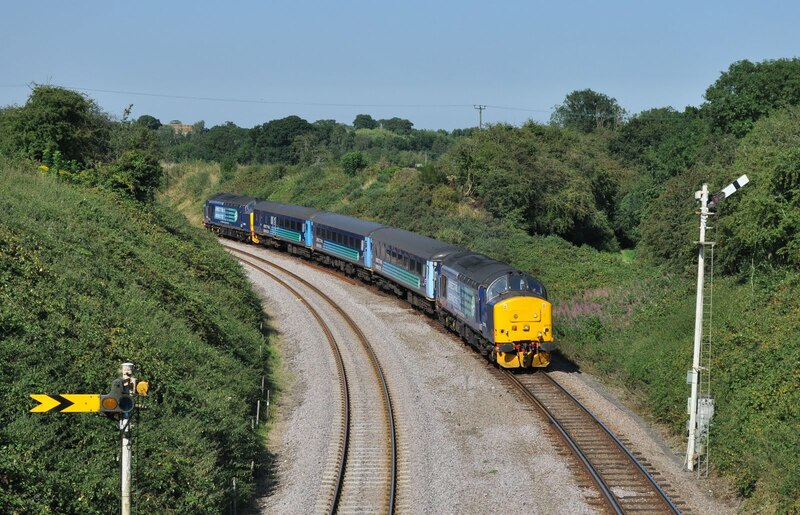 Lovely article and pictures of the wherry lines loco hauled operation. Is this still actual in 2018? Thank you! The class 68's finished last Autumn but the class 37 diagram is still due to run through 2018.